Our eldest son turns six this week. Our firstborn, the one that started the ball rolling and that brought us our ticket on the parenting rollercoaster. There will be cake with candles, and balloons and cards. He will be the centre of the world that whole day, and in a trait he definitely may have inherited from me he has been talking about his birthday celebrations non-stop since February. He tells his little brother that he was the first one out of Mammy’s tummy, and that Mammy and Daddy weren’t even a mammy and daddy until he was born. He’s the one who made us a mammy and a daddy. He got here first and nothing was ever the same again. We were different people before we met him, we went by other names, we left the house on a whim and without a changing bag. We travelled to exotic places on holidays, we stayed out too late, had lie-ins and complained of being tired. 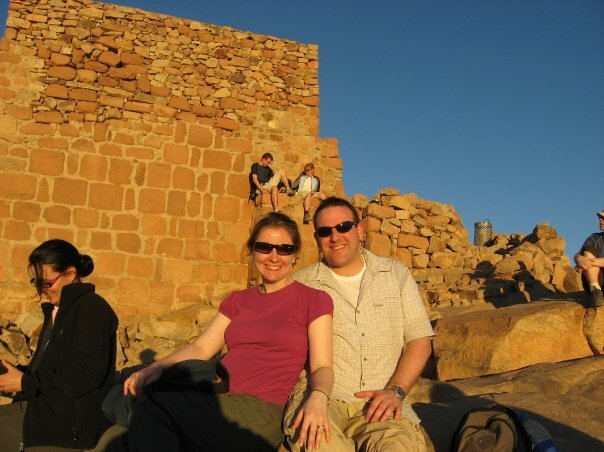 Four months pregnant, on the top of Mount Sinai in Egypt. We knew life was about to change forever. This time six years ago I had over 10 lbs of baby inside me, and it had been there for nearly 42 weeks. I was the most excited and the most terrified I’ve ever been all at once. And then he came, in a dramatic fashion, and I held him close, and any fears I’d had about bonding were wiped clean away. Once I held him I was a mammy, his mammy, this baby needed me. I saw my husband transformed to a daddy, baby slung over his shoulder as if he’d been doing it all his life. “Our son” we’d say and giggle, although his name sounded even more ridiculous, so for a few days he was “the baby”. 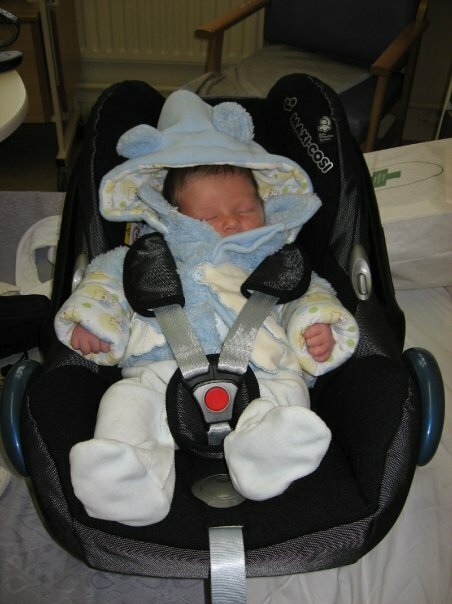 When he was four days old we left our hospital room to bring him home. Safely strapped in and well wrapped up, we clicked his car seat into the base in the back of the car, incredulous that they were sending us home with this living thing. We were to care for him, to respond to his needs, to raise him. Despite having eight younger siblings between us we felt completely unprepared. I remember looking back at the car seat on that drive home, wondering if it was all a dream. Meeting each of our babies for the first time and sharing the “newborn cocoon” with them was a very special time, each as special as the other. But becoming parents for the first time deserves celebrating and commemorating. We celebrate parents on the “Hallmark Holidays”, Mother’s Day and Father’s Day, but we concentrate on the birthday of the child and not on the significance that the day had on the parents too. Parents don’t celebrate the fact that they are parents, they celebrate their children. 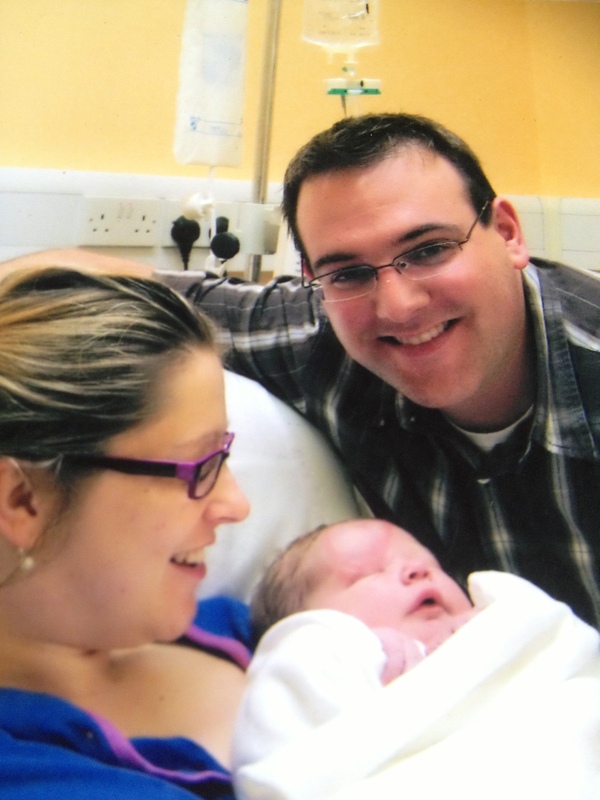 For our wedding anniversary we’ll go out for dinner and give each other cards, sometimes gifts too, but the birth of our first child was such a life defining moment for us both yet that event goes unmarked. If “push presents” have become popular, (I’m still waiting for mine, it’s never too late) and congratulating people on “work anniversaries” on LinkedIn is now a thing (I absolutely don’t think it’s a thing, I cringe when people congratulate me) then this day deserves recognition and celebration too. So after the party is over on Wednesday and the dozens of small children have been escorted from the premises, after the cake has been hoovered up and the surfaces de-stickied, I plan to sit down with my husband and have a glass of wine and toast ourselves, on the anniversary of our becoming parents. It deserves celebrating, even if nobody else is going to congratulate us. Happy Mammyversary to me, and happy Daddyversary to Mr Bumbles of Rice. Happy Mommyversary, Papaversary, Mummyversary, however you like it. Let’s make it a thing. birth, firstborn, mammyversary, parenting. Bookmark. Well said, and beautifully written. And thank you for wishing me happy Mammyversary at the weekend. While it isn’t a thing as such here, I have commented to my husband several times this week, ‘I can’t believe he’s six’ and ‘what did we do before kids, how did we fill our time?’ etc., so the reminiscing has definitely been going on. Daddy also told the six-year-old all about the day he was born too. Happy Mammyversary and Daddyversary to you and Mr. Bumbles of Rice also. I forgot to congratulate DairyfreeDad at the weekend too. I am MAKING it a thing, are you in? This is gaining in popularity! I’d sell my mother for a present and wine. Definitely in. I have long thought one simply must celebrate the birth-ing day on the child’s birthday, and your words bring yet another perspective on the matter. It is well worth celebrating! Go guys! So, so love this idea. I am definitely adopting it. I have been wished a happy ‘birth-day’ by other Mama friends, but I like that this is something both parents can celebrate. Pingback: Judging and Voting. | My thoughts on a page. Days Out with Kids: Viking Splash Tour, Dublin. Don't miss a post- sign up here to receive the latest from Bumbles of Rice direct to your inbox. Algarve Family Holiday: Zoomarine - worth the money?